We are able to provide valuations on Persian hand knotted rugs, antique rugs, kilims, Oriental rugs & machine made rugs. Our appraisals are offered to provide proof of your investment to insurance companies or in the event of damage to your rug. Appraisals are the only way to confirm the identity, quality and value of any type of a rug. In providing an accurate appraisal of any rug we undertake a detailed and thorough inspection of your rug to authenticate and assess the value of your rug for insurance purposes. Our written appraisal will include information such as the origin of the rug, description, age, condition, size, type, quality and value of the rug. We understand that sometimes you are not able to bring your rugs to our gallery for a valuation, so we are also able to offer you the convenience of having us come to your home to provide you with a valuation. A minimal fee is applicable to any such request. Only people who deal with carpets and rugs on a daily basis can determine their true market value, especially in an ever-changing market, where particular colours, dyes and designs dictate the demand for current fashion. 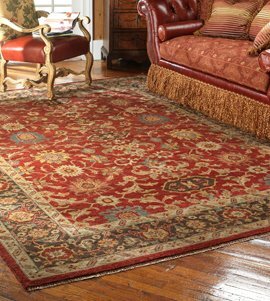 In the midst of all this, one needs to seek out a knowledgeable dealer who can accurately appraise your rugs. With generations of experience in the carpet business, we are well placed to advise you on the current market value of your carpet.